Link building cannot exist in a vacuum. As a busy marketer you may fall into the trap of viewing link building as sort of silver bullet. You know that links are important for search visibility, but you don’t have the time to launch and manage a link acquisition campaign yourself. This is why vendors like Page One Power exist, right? 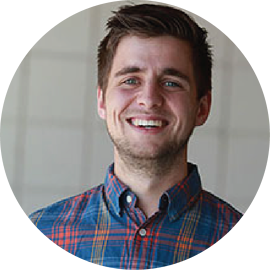 Can’t you just pay an external link agency to get you links while you focus on other projects and watch your rankings soar? 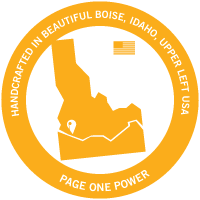 At Page One Power, a common thread we see with our most successful projects is that a true partnership exists. This means we have the opportunity to work with our client as part of their marketing team rather than being isolated as an outside vendor. With these projects we're also able to influence and consult on other important aspects of SEO strategy, which affect links. There are certainly exceptions — our clients’ marketing strategies and SEO needs are as unique as their businesses. Some clients are more attuned to link building and have already integrated link acquisition into their marketing plan, which gives us the opportunity to focus solely on securing links. But even in these situations, an open and consistent line of communication must exist. Onsite issues diminish link value. Key marketing opportunities are missed. 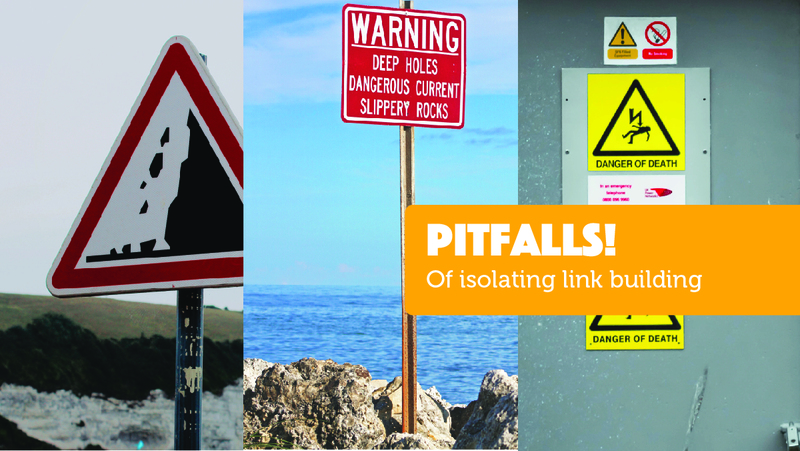 Today I want to discuss the pitfalls of isolating link building and explain why our campaigns are more effective when partnered with other SEO services and marketing functions. If link building teams have no means of influencing technical and onpage optimization, their efforts will be hindered. Links are powerful tools for improving search visibility, but if they point to poorly optimized sites, they won’t make much of a difference. Common technical issues — such as page speed and poor mobile experience — can diminish the value of links to these pages. 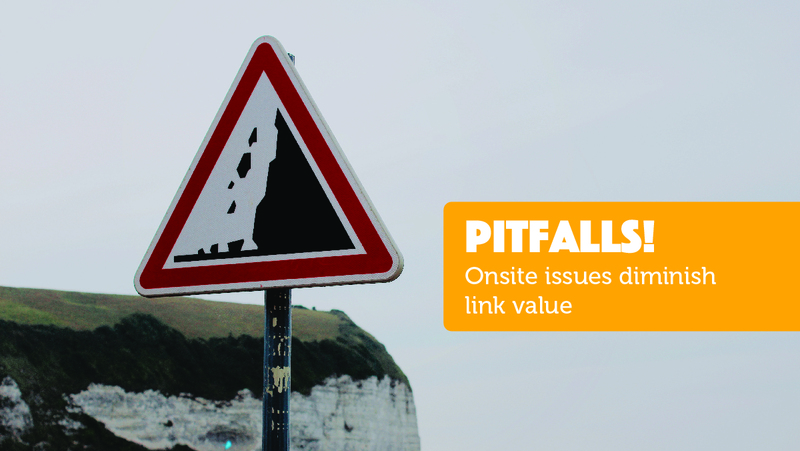 For these reasons, we always recommend a full site audit before launching a link campaign. These audits can highlight problems so you can resolve them prior to starting link acquisition to ensure you get the most value from your links. Of course, a one-time audit is not enough to maintain an optimized site. New issues can crop up during the course of a link campaign, and if link building is isolated there will be no way to communicate and fix these problems. Link acquisition teams should be working closely with developers, ensuring an open and consistent line of communication exists to optimize website performance, maximizing the benefits of link building. Link building teams must be aligned with content creators because links need to be a consideration throughout the content creation process. Search opportunities and content gaps. Common attributes of well-linked content. Potential link prospects associated with various topics. These factors need to be considered before new content and pages are created to ensure maximum link-worthiness. Content ideation and link building strategy should go hand-in-hand. Specifically, keyword research is just as important to content creation as it is to link building. The research done for link acquisition should also be applied to content ideation to make sure any new pages are optimized for search opportunity and links. If you build content that is optimized for links, you’re going to be much more successful securing worthwhile links. However, if your link building team is secluded and unable to guide content creation, you could waste marketing dollars crafting content that won’t attract links or visitors. 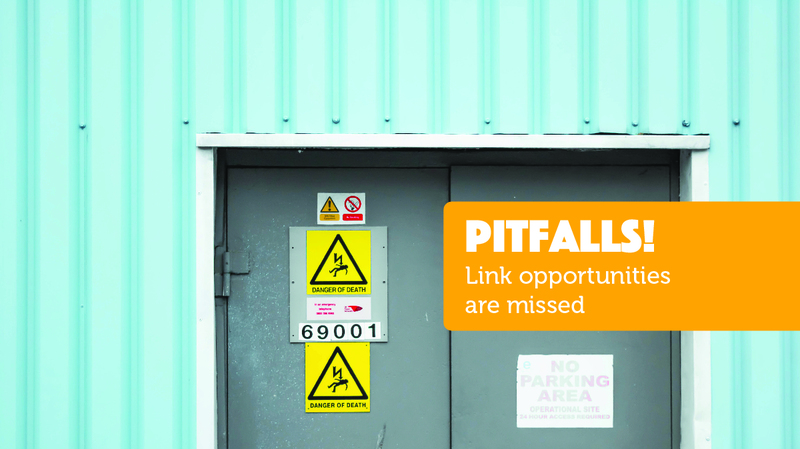 Disjointed marketing departments create gaps that lead to missed opportunities — this is the case when link acquisition is isolated. The activities and interactions associated with link building naturally align with other marketing goals and strategies. For example, we often make connections during our link outreach that would benefit a client’s PR team. However, if we’re segmented away from the rest of the client’s marketing efforts, we can’t make valuable introductions that could benefit overarching goals. Chances to engage brand ambassadors. Marketing partnerships or co-marketing projects. Opportunities to manage reputation and branding. Channels for community engagement and interaction. The goal of link building is to make digital connections between websites, but a natural byproduct of the process is that real-world connections happen between the humans involved. The relationship building aspect of link acquisition can benefit other marketing efforts, unless you treat link building as a separate function. When link building isn’t integrated into other marketing strategies important link opportunities are missed. The disadvantages of link building not communicating with the rest of your marketing team go both ways. Not only will you miss out on marketing opportunities the link team discovers, but any potential link opportunities uncovered from PR work or the other marketing you do will also be lost. Links are not the focus of these activities or the teams who execute them, and unless your link acquisition team is involved, link equity will be left on the table. 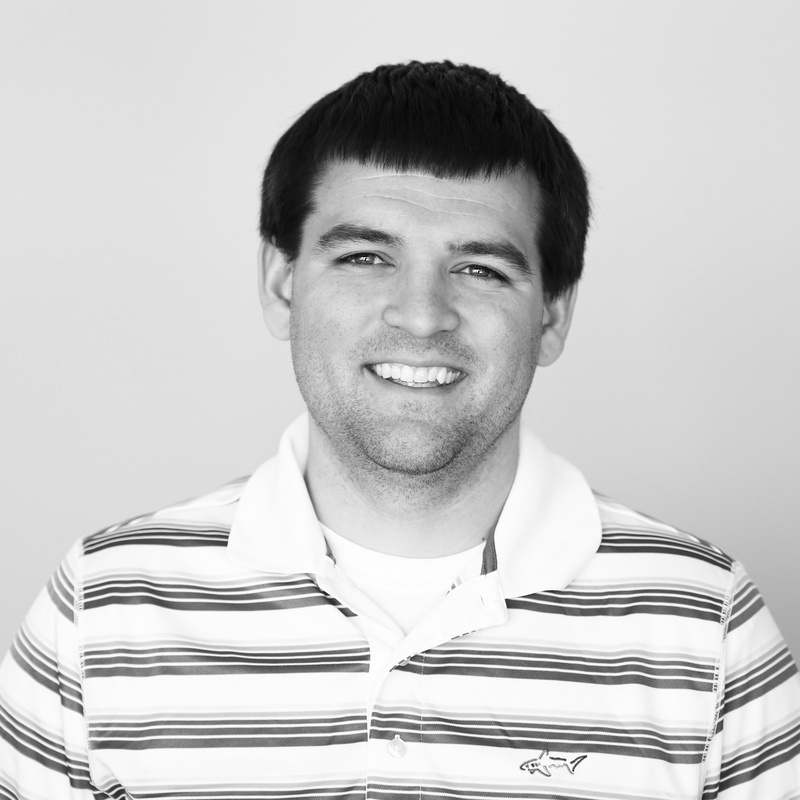 Putting link building in a silo will hinder your campaign’s progress. When your link team is disconnected from the rest of your marketing it slows everything down. We often work with our clients to get initiatives pushed through approval processes and when we’re detached from the client’s marketing department it can really bog down the project. Integrating link building into the day-to-day marketing processes creates more seamless communication channels, which can help a link project gain the momentum necessary to drive results. Incorporating link acquisition into existing marketing systems also fosters buy-in from upper management. When link building is categorized as an exclusive service, disconnected from the rest of your marketing efforts, we often see confusion from the C-suite and misunderstanding over the value of link building. This leads to misaligned, short-term expectations which can derail a project before it ever truly gets going. You must rely on another site owner to publish a link to your site, which means parts of link acquisition are out of your control — this means timeliness is crucial when it comes to the elements of link acquisition that are in your control. Long lag times can lead to strained relationships and missed opportunities. 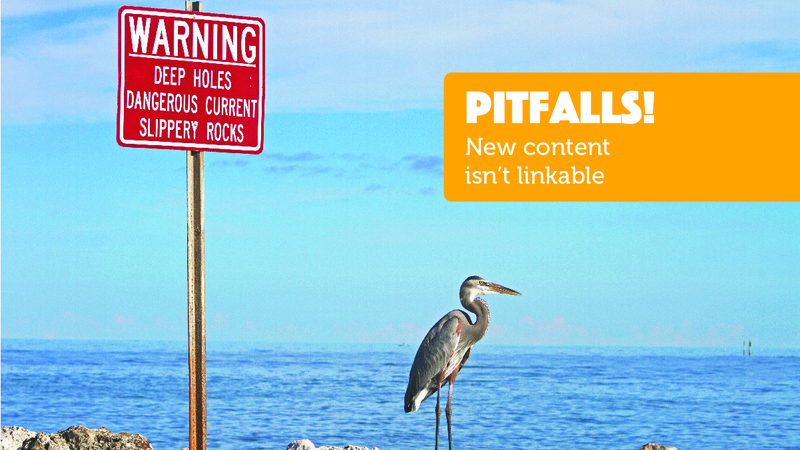 Siloing link building can paralyze a campaign. Integrate link building into your overarching marketing plan to ensure all of your strategies are working together and supporting one another to achieve search success.